Over the last few days I have been immersed in kickstarting my hobby in making beats. As you may have noticed, the last couple of blog posts are about making beats and I’ve posted nothing else. Since I signed up with Beat Generals last week, I’ve checked out some tutorials but have been doing some research on on different producers and their beats, styles and how they got started. I’ve decided that this week, I’m going to get into the training and do a challenge that I’ll blog about here. I think I’ll only do this for 30 days since that would help people decide if Beat Generals is good enough for them. By this time I should be able to go from being a complete beginner to at least being able to make a basic beat. This post would be updated with the links to the individual posts for each day of the test so it will be kinda like the index. Now, I don’t expect at the end of 30 days to be able to make beats for Drake or Kanye, but what I do expect to achieve is a bit of competence in using FL Studio. I should know how to put together a beat even if it sounds boring. 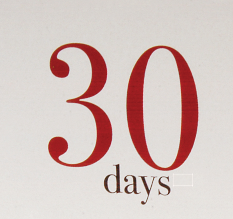 I know that I’ll still have lots to learn after 30 days so I don’t expect to learn everything within a month. All I’m shooting for is competence at least at a beginner level. 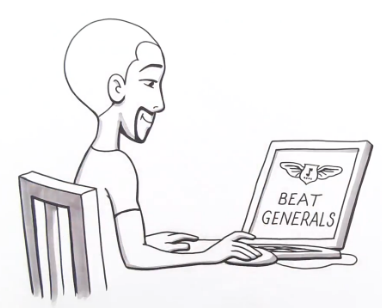 I also want to prove that Beat Generals can be used as a tool for learning how to make beats. I’ll post my results at the end of the 30 day challenge. If you’re just starting out and would like to follow along with the challenge (it doesn’t matter what day I’m on), grab a copy of FL Studio and a membership at Beat Generals. They have a free trial that should be good for the first couple of days in the challenge. Also if you have any questions or comments, you can post them here or on the page for the specific challenge.